Sony's PlayStation 3 Console already offers state-of-the-art games and high-definition movies on Blu-ray Disc, but from today you can also watch, pause and record digital television with Play TV. Simply plug a TV aerial into the included TV Tuner and connect it to your PS3 Console via USB. You can now watch and pause live TV, record one channel while watching another (or playing a game), use the Programme Guide to select programmes to record, and watch TV when you're out and about with Remote Play for Sony PSP. 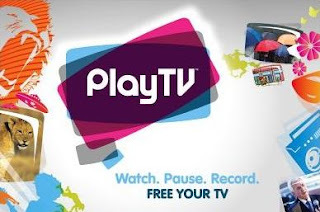 In fact, you can enjoy all of Play TV's great features remotely on your Sony PSP Console: stream live TV, watch your recorded programmes, schedule new recordings, etc.